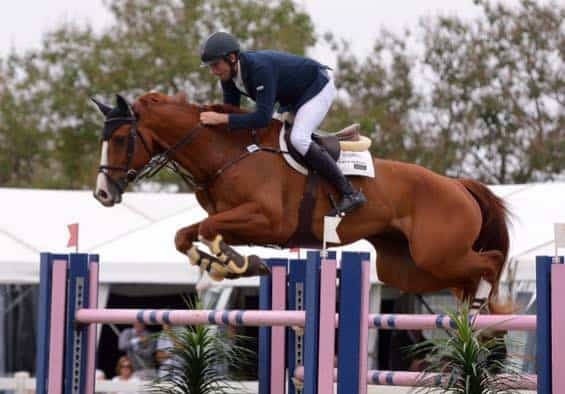 Deirdre Hartog, breeder and owner of showjumpers, and horse lover, says ..
Pictured is Jono Berry has produced Balouet du Romin, bred by Deidre by Balouet Du Route out of Rominia. 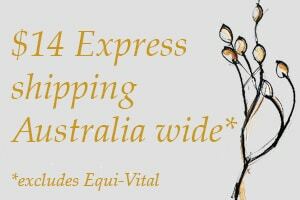 Australia’s only all natural feed supplement, Equi-Vital, was formulated by Equine Herbalists Victoria Ferguson and Denise Farrugia. Bursting with essential nutrients, this unique raw food recipe is hand blended by Denise and shipped all over Australia. Raw Wheat Germ, straight from the mill, freshly crushed French White Millet, Rosehips, Brewer’s Yeast and Australian Seaweed provide an abundant source of nutrients essential to equine health. Minerals, vitamins, amino acids, anti-oxidants, essential fatty acids and phyto-nutrients are highly bio-available to horses from this product. Raw Wheat Germ – Phosphorous (very handy if feeding a no-grain diet) plus Magnesium & Potassium, and a stunning number of Vitamins – Vit A, Lecithin, B1, B2, B5, B6, Biotin, Choline, Folic Acid and Inositol. Rosehips – highest plant source of Vitamin C, plus Iron, Copper, Cobalt, essential fatty acids, anti-oxidants. Total minerals 18 & Vitamins 14. Seaweed – abundant in Calcium plus 45 other minerals Iodine occurring as amino acids, most essential amino acids and Vitamin B12 (which is not in Brewer’s Yeast). 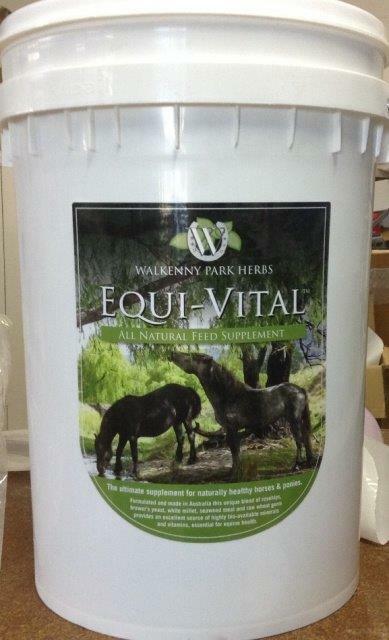 Equi-Vital has been independently tested by Livestock Logic, providing an excellent balance of minerals, trace elements and vitamins.